As we all know, an extension project for Ampang Line and Kelana Jaya Line is going on in Klang Valley. 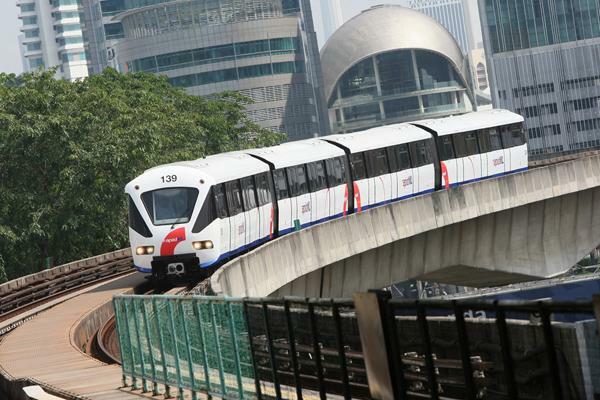 The project is scheduled to be completed in 2015, one year before another urban rail project in Klang Valley completes. Yes! Sungai Buloh-Kajang Mass Rapid Transit(MRT) by MRT Corp.
Ampang Line and Kelana Jaya Line or Rapid KL are under the management of Prasarana. 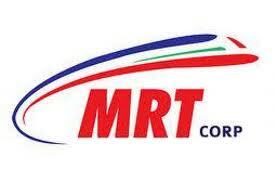 But, MRT is not under Prasarana but under its own management instead called MRT Corp. So, nobody should be confused with this. Same goes to KTM Komuter that is under the management of Keretapi Tanah Melayu(KTM) itself. 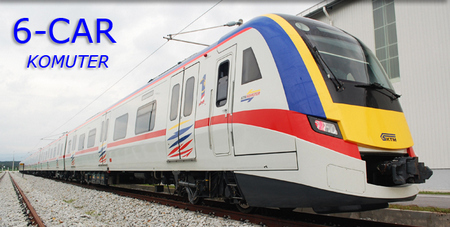 KTM is the largest rail company in Malaysia since it handles the movements of all intercity routes in Penisular Malaysia including the Electric Train Service (ETS) from Kuala Lumpur to Ipoh. Now, double-electrified tracks from Ipoh to Padang Besar is under construction and it's going to complete by next year. After that, ETS will continue its development from Gemas to the south of Peninsular Malaysia, Johor Bharu. As reported last year, CSR Zhuzhou, the same company that supplied the new train sets for KTM Komuter has won the bid for this new Ampang Line trains project. The company will deliver the train sets starting from 2015. 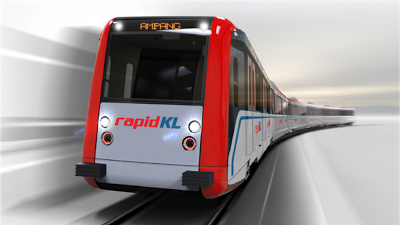 MALAYSIA: Lowest bidder CSR Zhuzhou has won a 530m ringgit contract to supply 20 trainsets for the 27 km Ampang Line metro in Kuala Lumpur, which is being extended by 17·7 km to Putra Heights. The six-car trains will each have a capacity of 1 308 passengers and a maximum speed of 80 km/h, drawing current at 750 V DC from the third rail. The 1 435 mm gauge Ampang Line features steep gradients and 40 m radius curves, and rolling stock will draw on designs which CSR Zhuzhou developed for light metro cars delivered to Izmir in Turkey. Measures will also be taken to minimise corrosion in the humid climate. The order announced on April 5 specifies that deliveries should run from January 2015 to mid-2016. CSR Zhuzhou plans to undertake some assembly work at Batu Gajah in Malaysia, where a local plant could be developed to serve customers elsewhere in southeast Asia. Other bidders for the contract were reported to be Bombardier/Scomi, CAF/Trans-I, China Northern/Emrail, Hyundai Rotem/CMC Engineering and Astra/SMH Rail.